Photo from Adams missionary family album, circa 1920. Mansei! The shouts rang out in support of Korean independence on March 1, 1919. After nine years of Japanese colonial rule, thirty-three activists—including pastors of Korean Presbyterian churches and other leading Christians—gathered in Seoul to read aloud the newly drawn up Korean Declaration of Independence. That same afternoon, crowds filled the streets in locations around the country, waving Korean flags and shouting their support for independence. Marchers had called for peaceful, non-violent protests. But Japanese authorities did not respond in kind. Over the next several weeks, many protestors—men, women, and children—were arrested, some beaten, and hundreds killed. Supporters of the March 1st Movement varied in age, occupation, and religious belief. 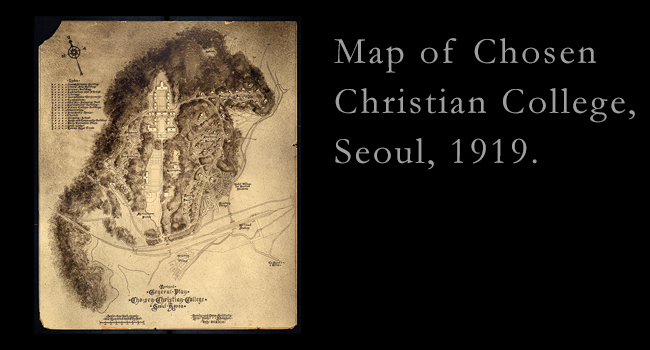 Korean Presbyterians were notable among them. Most of the students attending educational institutions started by Presbyterian missionaries participated in the marches, from Severance Union Medical College and Chosen Christian College to the primary and secondary mission schools. 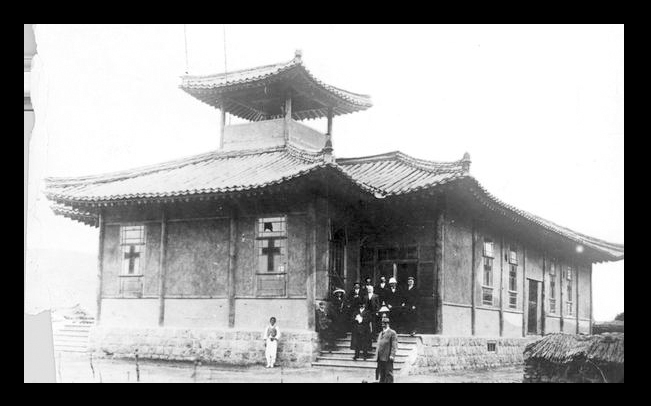 According to Pyongyang-based PCUSA missionary Sadie N. Welbon, “the Christians [were] treated very much more severely than the unbelievers” by Japanese authorities. Welbon and some missionary colleagues tried to bring heavier clothing to the imprisoned girls, women, and older men, but their efforts were rebuked. As the 100th anniversary of the March 1st Movement is commemorated, there has been renewed interest in the Presbyterian Historical Society collections that document the Korean Independence Movement. Japanese authorities destroyed much of the written record that existed in Korea, so the history preserved at PHS is particularly treasured. Church in Sunch'ŏn, undated. [Pearl ID: 4953] From the United Presbyterian Church in the U.S.A. Commission on Ecumenical Mission and Relations Photographs. The PHS collections contain hundreds of pages of testimony from Presbyterian missionaries on the events in Korea in March 1919, some of it eye-witness accounts of the protests and subsequent arrests and beatings. Other reports include details passed along to missionaries by Korean Christians, including accounts of ransacked rural churches and the destruction of Bibles and other religious objects. While the current focus is on the March 1st Movement, the rich collections at PHS also place the movement in the larger context of Korean history from the beginning of Japanese occupation in 1910 through 1945, when the Japanese defeat in World War II ended colonial rule. In 2017 and 2018, leaders from the government of South Korea reached out to PHS to ask for an in depth survey of our “invaluable material” on the Korean Independence Movement. Last year, a group of volunteers from the PC(USA) and Eastern Korean Presbytery began identifying key documents relating to the March 1st Movement for possible translation from English to Korean. PHS Reading Room, January 2018: (left to right) Hyon Chun Kim, Abe Ko, Luke Choi, Hye Kyung Ryu. In January 2018, Rev. Hyon Chun Kim, the Executive Presbyter of Eastern Korean Presbytery, Rev. Abe Ko, Rev. Luke Choi of the PC(USA) Office of the General Assembly, and Mrs. Hye Kyung Ryu spent two days at PHS reviewing Korea Mission records and the personal papers of Korean missionaries. The excitement and emotion those century-old documents generated in our visitors reminded PHS of the importance of preserving the raw materials of history and making them accessible to future generations. Mrs. Hye Kyung Ryu has a personal connection to the documents. She is the grand-niece of Gwansun Ryu, one of the leaders of the March 1st Movement. Japanese authorities arrested Ryu in April 1919. While still in prison, she led a demonstration to mark the one-year anniversary of the initial protests. Beaten and tortured, she died in September 1920 at the age of 17. Gwansun Ryu is today remembered as Korea’s Joan of Arc. A version of this blog post originally appeared in Presbyterian Heritage, Spring 2018.